This Jeanneau 53 sailboat, built in 2013 is an excellent choice for those wishing to experience a new sense of freedom in style and comfort. Wake up to the sound of the sea in one of the Jeanneau 53’s 5 spacious and modern cabins. Sleeping up to 12 people, this sailboat is perfect for sailing with friends and family. 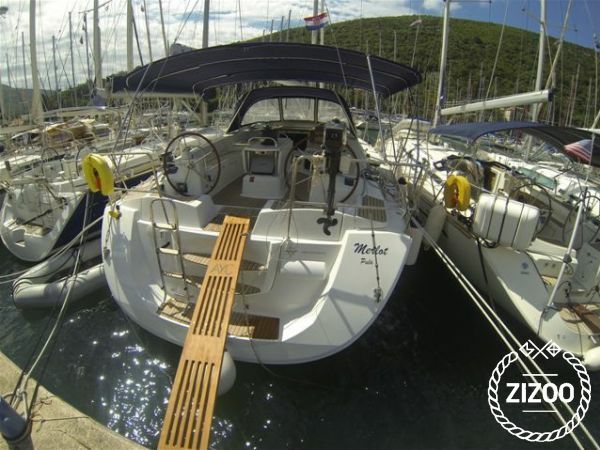 The Jeanneau 53 is located in Dubrovnik ACI Marina (Dubrovnik), Dubrovnik, a convenient start point for exploring Croatia by boat. Happy sailing. Das ist das zweite Mal, dass ich mit meinen Freunden für ein paar Tage in Dubrovnik segeln war. Das Boot war perfekt und der Charter super nett! Checkin reibungslos, Boot sauber und neu. Alles zu unserer Zufriedenheit!